van den Bos, L.M.M, Koren, B, & Dwight, R.P. (2016). 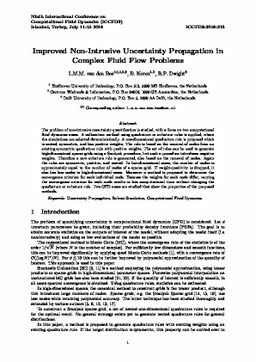 Improved non-intrusive uncertainty propagation in complex fluid flow problems. In Proceedings of International Conference on Computational Fluid Dynamics 2016 (ICCFD 9).